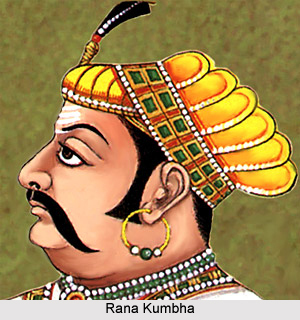 In all three battles, Rana Kumbha inflicted defeat to Sultan of Mandu. While battle of Mandavgad took place in modern Madhya Pradesh, battle of Mandalgarh and Banas took place in Rajasthan. The Sultan arrived at Kumbhalmer and prepared to destroy the temple of Bana Mata in Kelwara. A Rajput chieftain named Deep Singh successfully opposed the Sultan for seven days. On the seventh day, Deep Singh was killed and the temple fell into the hands of the Sultan. He razed it to the ground and burned the stone image that was kept in the temple. 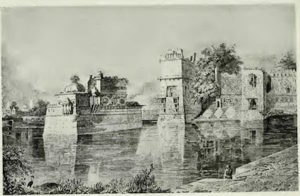 Flushed with success, Khilji advanced to attack Rana Kumbha, leaving a part of his army to take the fortress of Chittorgarh. When information reached Rana Kumbha, he left Hadoti to return to his dominions and confronted Sultan’s army near Mandalgarh. A battle ensued at Mandalgarh in which Kumbha defeated Sultan and he fled towards Mandu. In 1446 A.D, Mahmud Khilji made another attempt to retrieve the disaster and marched towards Mandalgarh with a large army. 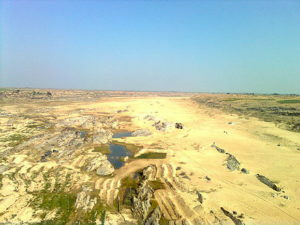 On October 11-12,1446, Rana Kumbha attacked Mahmud Khilji, while he was crossing the Banas River. Mahmud Khilji was again defeated in the battle and again fled to Mandu. For about 10 years after these defeats, Mahmud Khilji did not venture to take offensive against Rana Kumbha.